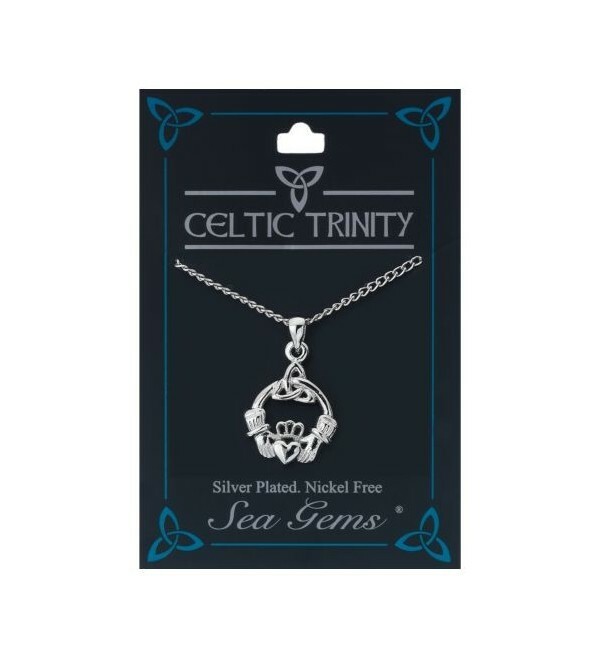 Sea Gems of Cornwall silver plated Claddagh Pendant with Trinity Knot design. 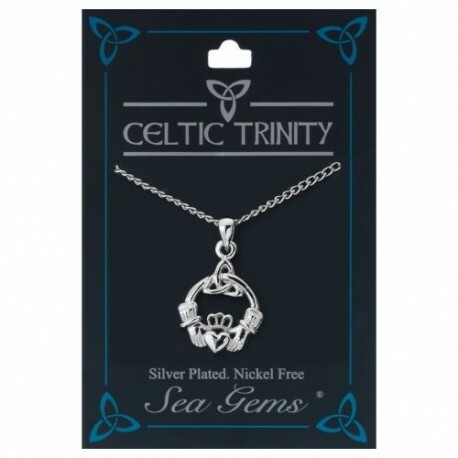 Sea Gems of Cornwall silver plated Claddagh Pendant with Trinity Knot design. Includes 18-inch curb chain.